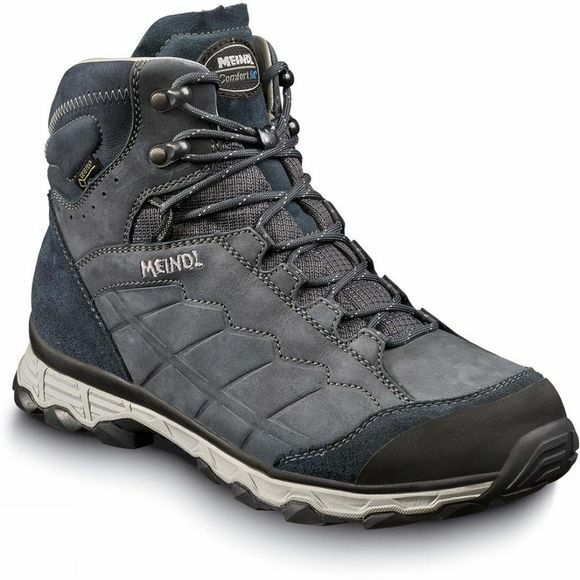 The Women's Tarmin GoreTex Walking Boots from Meindl are made to fit well and perform well too! They are made from nubuck hydrophobic leather and stiched with anti-wicking thread. The boots have anatomic design tongue, air active ventilation and Digafix lacing system. Tarmin boots are finished with a GoreTex membrane making them waterproof so you can enjoy outside for longer. The mid-sole memory foam makes these boots extra comfortable while double density Lite Trail rubber grip sole provide security on most terains.